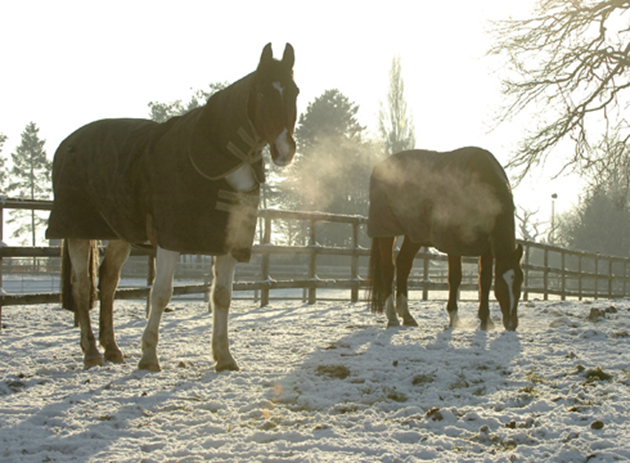 Sub-zero temperatures and heavy snow are causing disruption for horse owners across the country. With the severe weather forecast to continue for areas of Britain throughout the week, some equestrians are likely to see changes to their competition plans. The affiliated eventing season was set to start this weekend (3-4 March) at Isleham in Cambridgeshire. However, this has now been cancelled. Vale View Equestrian has managed to go ahead with its British Showjumping fixture on Wednesday, although other venues have been hit by the “Beast from the East”. Addington has cancelled its three-day showjumping show, which was set to run from 2 to 4 March, due to the weather. Wellington Riding Centre in Hampshire also made the decision to cancel the final day of the British Dressage regional championships today (Thursday, 1 March). Summerhouse Equestrian Centre in Gloucestershire was due to hold affiliated regional dressage championships this week (1-3 March), but these have now been postponed. For those unable to ride at home, dressage rider Anna Ross has offered the use of her indoor arena in return for a £5 donation to the Emile Faure Foundation to anyone who can travel there safely. The latest Met Office forecast is for bitterly cold temperatures and heavy, blustery snow for areas of the UK over the next five days. A red weather warning for snow has been issued for parts of Scotland, with amber and yellow snow warnings for large swathes of England. But it is hoped temperatures will climb gradually over the weekend. The forecast for next week is also looking more hopeful — the Met Office states sleet and snow will move north across the country on Sunday into Monday. It is likely to stay cold in the north next week, with temperatures in the south returning to near-normal for this time of year. The weather across the UK is likely to be more unsettled as the week progresses. Riding on snow: is it safe? Is your stable yard ready for snow? 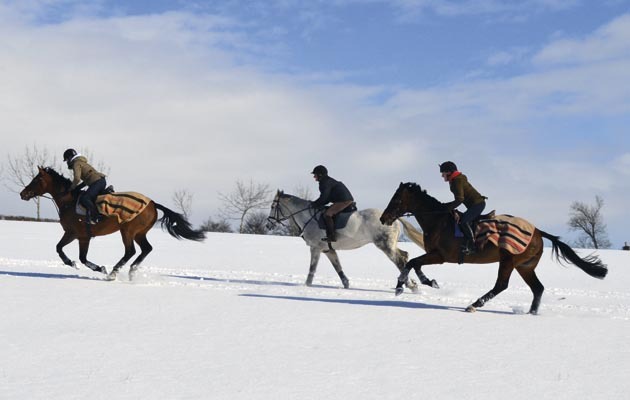 Equestrian breakdown company PRP Equine Rescue has advised owners to consider whether it is really necessary to travel their horses in extreme weather. “If you don’t have to travel, you shouldn’t be travelling,” Claire Barker told H&H. She added that commercial vehicle companies that are contracted to provide breakdown assistance are already stretched when the weather is poor, meaning it can take longer for them to reach each case. 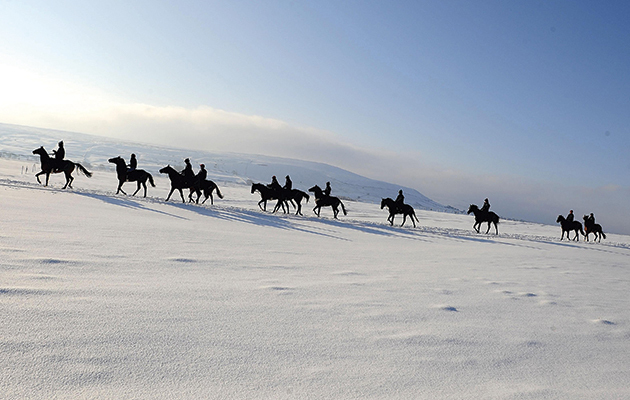 Snow can also mean it could take longer for horse transporter companies to reach a breakdown. “Don’t just consider: can I get from A to B, think about what could happen if you get stuck on the way,” added Ms Barker. She said thankfully PRP does not see an increase in calls as owners are generally sensible about only travelling if really necessary. “It is worth remembering that the same vehicle contractors are called on to attend accidents as breakdowns,” added Ms Barker. Ms Barker also recommended if owners have to travel, that they are well prepared, with plenty of warm rugs for their horses and clothes and drinks for themselves, and to ensure the lorry is well ventilated.